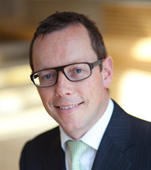 Donal founded BLG in 1999 and is the managing partner of the business. Donal has acted as Finance Director for a wide number of companies including a subsidiary of a leading Fortune 500, as well as major Irish and international brand companies. He has also been recommended and appointed as an independent director of companies supported by IDA and Enterprise Ireland. Since BLG’s inception, Donal has successfully completed a number of high profile corporate finance transactions and corporate recoveries / turnarounds. Donal has also played a key role in the success of various Irish entities across a variety of industry sectors through the provision of BLG’s financial control services. Donal is widely regarded as a leading advisor and negotiator in licensing deals for Irish and international entities. Donal is regularly quoted in Irish and UK broadsheets and other publications. He has been credited through various business newspapers for the success of a number of high profile Irish business ventures that he managed through BLG.